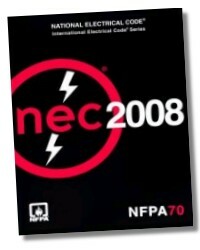 Applied Codeology: Navigating the National Electrical Code® 2008 offers the perfect solution for any electrical professional who has ever felt overwhelmed when trying to locate specific information within the vast catalog of standards and articles contained in the NEC®! As the world’s predominantly adopted and enforced electrical installation standard, the code is a critical reference tool for anyone working in the field of electrical installation or maintenance. 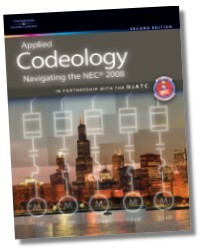 Recognizing that in order to use this resource proficiently a complete understanding of the outline format is necessary, the book introduces simple techniques that allow readers to quickly identify and locate various NEC® sections. 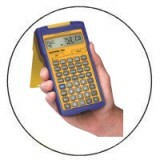 Readers then learn to qualify their electrical questions and efficiently and accurately access the necessary information within the code. Revised to reflect the NEC® 2008 and packed with all-new learning features like review questions, and pre-tests and post-tests, this book is a valuable "roadmap" that will familiarize readers with the code and give them the skills and confidence to make code-compliant installations that are safe and accurate. Unit 1- The Development of the National Electrical Code: The NEC Process, Sequence of Events, Committee Membership Classifications, Summary, Review Questions. Unit 2- Basic Building Block #1: Table of Contents: NEC Table of Contents, Summary, Review Questions. Unit 3- Basic Building Block #2: Section 90.3: The Arrangement of the NEC, Section 90.3, Summary, Review Questions. Unit 4- Basic Building Block #3: NEC Structure: NEC Organization, Mandatory Rules, Permissive Rules, and Explanatory Material, Summary, Review Questions. Unit 5- Basic Building Block #4: Article 100: The Language of the NEC: NEC Language: Article 100, Summary, Review Questions. Unit 6- Codeology Fundamentals: Marking up Your Codebook, Clues and Keywords, The Four Basic Building Blocks of the Codeology Method, Getting in the Right Chapter, Article, and Part, Fundamental Steps Using Codeology, Summary, Review Questions. Unit 7- Article 90, The Introduction to the NEC: NEC How to Begin, Article 90 Introduction, Summary, Review Questions. Unit 8- Chapter 1 of the NEC, General: NEC Chapter 1-General, Article 110 Requirements for Electrical Installations, Part I General, Part 11 600 Volt, Nominal or Less, Part II Over 600 Volts, Nominal, Part IV Tunnel Installations Over 600 Volts, Nominal, Part V Manholes and Other Electric enclosures Intended for Personnel Entry, All Voltages, Key Words/Clues for Chapter 1- General, Summary, Review Questions, Practice Problems. Unit 9- Chapter 2 of the NEC, "Plan": Wiring, Protection, Key Words/Clues for Chapter 2, "Plan", Think Plan and go to Chapter 2, Summary, Review questions, Practice Problems. Unit 10- Chapter 3 of the NEC, "Build": NEC Chapter 3 "Build", Wiring Methods, General Information for all Wiring Methods and Materials, Cabinets, Boxes, Fittings, and Meter Socket/Handhole Enclosures, Cable Assemblies and Raceways, Key Words/Clues for Chapter 3, "Build", Think Build and go to Chapter 3, Summary, review Questions, Practice Problems. Unit 11- Chapter 4 of the NEC, "USE": NEC: Chapter 4 "Use", Categoration of Chapter 4, Key Words/Clues for Chapter 4, "Use", Summary, Review Questions, Practice Problems. Unit 12- Chapters 5, 6, and 7 of the NEC, Special: Arrangement of the Special Chapters, The general, Plan, Build, and Use Stages are Modified and Supplemented by Chapters 5, 6, and 7, NEC Chapter 5 "Special Occupancies", Hazardous Locations, Zone Classifications System, Health Care Facilities, Assembly Occupancies for 100 or More Persons, Entertainment Venues, Agricultural Buildings for Poultry, Livestock and Fish, Manufactured Buildings, Dwellings and Recreational Structures, Structures on or Adjacent to Bodies of Water, Temporary Installations, NEC Chapter 6 "Special Equipment", NEC Chapter 7 "Special Conditions", Summary, Review Questions, Practice Problems. Unit 13- Chapter 8 of the NEC, Communications Systems: NEC: Chapter 8 Communications Systems, Summary, Review Questions, Practice Problems. Unit 14- Chapter 9 of the NEC, "Tables and Annexes"